Moss Bros Suit – Look the Part! 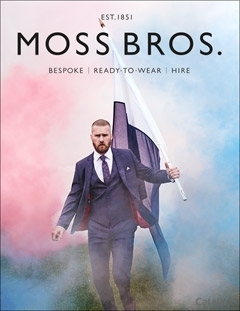 Moss Bros have been suiting men for generations. If you love a tailored look made with ease, they have exactly what you need. Sign up to their newsletter today and discover their range of menswear – you’re sure to get hooked. Are you drawn to high quality and timeless designs? Do you love finding the perfect suit with all the trimmings without any trouble? Moss Bros is the perfect fit for you. From fully tailored suits, slim-fit shirts and suit shoes to complete the look to a range of casual wear, full length coats and jeans. Find a little bit of everything with Moss Bros.
Their dedicated team of stylists and designers are available to help you with whatever you need. From suit fitting services to some friendly fashion advice, you’ll get the best service with Moss Bros when you sign up to their newsletter today. With a huge range of accessories, you can kit yourself out with leather bags, suit carriers, cufflinks, scarves and more. Complete your look to your exact specifications without breaking the bank. If you’re shopping for a special occasion, you can find the perfect outfit here! From wedding attire, prom suits and graduation clothes to white tie events, interview attire and race day suits. What more could you want? Sign up to the Moss Bros newsletter today to receive exclusive member only discounts and updates from the suit experts. Influenced by innovative and diversifying architecture, ETO Jeans are a fusion of premium denim and street wear! If you love high quality fashion, this is the place for you. Sign up to their newsletter today to discover all they have to offer. Explore their incredible selection of jeans and find your perfect fit with them. From Reflex jeans, tapered fit jeans and slim fits to combat jeans, cuffed jeans and chinos. You can find something for every style with ETO Jeans. Dedicated to your style, ETO Jeans bring you a great choice of high quality men’s fashion. Choose from polo shirts, knitwear, evening shirts, joggers and summer shorts. Dress for every occasion when you sign up today! The fashion experts at ETO Jeans are there to make your experience the best. Offering you great tips and advice on all the hottest trends so that you can look fly all year round. 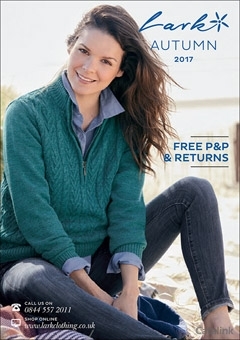 Discover all they have to offer today and treat yourself or your loved one to an outfit ready for the new season! Sign up to the ETO Jeans newsletter today to discover all they have to offer and receive member only deals and updates on the hottest men’s fashion. Here at our Head Office in Kent we have over one and a half decades of experience creating ladieswear. From high quality products to outstanding service – our mission is to deliver the best shopping experience for you. Our rang is packed with great pieces, luxurious knits, tailored trousers, jackets and fantastic accessories. We have plenty of gorgeous on-trend shades of greys, greens, berries and blues to get acquainted with and add a zing to your autumnal wardrobe. Multi branded beautiful ladies fashion! 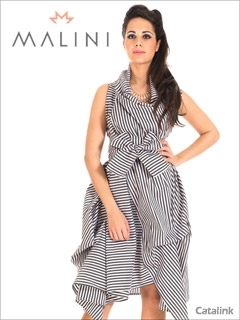 If you love everything fashion, Malini is the place for you. With their incredible range of women’s fashion brands, you can find timeless pieces with them. Stock your wardrobe with incredible fashion brands at great prices. Sign up to their newsletter today and discover all they have to offer. With a range of exclusive brands to Malini you can be sure to find something perfect for you. From Absolut, Miss June, Rendez-Vous and Vimoda to OdeMai, Jeff Gallano, Be Fun and more. There is so much to chose from, we know you’ll fall in love with all they have to offer. Shop beautiful dresses, casual t-shirts, skirts or straight legged trousers. Malini bring you the hottest trends with a touch of difference. Discover their trends when you sign up today! With a lovely collection of accessories, you can dress up any look or find the perfect bag for every occasion. With scarves, jewellery, bags, umbrellas and hats, their selection will have you hooked. Sign up to the Malini newsletter today to discover all they have to offer and receive member only deals and updates on beautifully unique fashion. Childsplay Clothing provides designer brand children’s clothes for your little ones, ranging from newborn to 16 years. Besides clothing, they also have a wide variety of children’s shoes, baby gifts and childcare accessories. There are so many stylish options for both boys and girls you’ll never want to shop anywhere else for children’s clothes! You might even start wishing that they had your size. There are over 100 designer brands for children available, such as Dolce & Gabbana, GUCCI, Michael Kors, Burberry and Ralph Lauren kids. All of their items are of great value. Even though the kids clothes are designer brands, Childsplay make them affordable. And with the Childsplay eNewsletter, getting offers on children’s clothes has never been more rewarding. With so many products to browse through, you’ll be glad to have a some discount codes. Which is why the eNewsletter for Childsplay Clothing is a must sign up for anyone shopping for children’s clothing. Be the first to dress your kids in beautiful dresses and charming accessories – all designed with varying ages in mind. Be the coolest parent in the playground and sign up to offers of designer children’s clothing from Childsplay Clothing. Save money on gifts, gadgets, fashion and everything inbetween. The very.co.uk eNewsletter gets you offers and discounts on online shopping. Discover how to buy presents for him or her without stressing. Or find the perfect smart TV for half the price. Perhaps make your home contemporary and stylish with reduced designer furniture. Compare phone specs and prices, browse brithday gift ideas or simply choose from 1000s of products at incredible prices. Sign up to the very.co.uk eNewsletter to always save money on whatever you buy.